I am beyond thrilled to run this incredible Yoga and Permaculture PDC certifcate course at the stunning Himalaya Shanti Ashram in Dharamshala, India. Join us for a transformational and immersive course where we will combine yoga to heal our bodies and minds while learning and applying Permaculture design and theory to bring abundance on our land and our communities. The course is the first of its kind in India. It merges the ancient Eastern philosophy of Yoga with the contemporary Western design science of Permaculture. Both disciplines speak a similar language and stem from a deep care for humans and the earth. Permaculture experiments around the farm. Held at the Himalaya Shanti Ashram, the course will reignite participants’ connection with nature. Students will collaborate in the building of a food forest while enjoying mountain views and relaxing swims in the crystal-clear Himalayan River. The harmonious natural systems of the Himalayan foothills will usher us into a rejuvenating yoga practice. Immersion in nature will empower participants to become part of the solution and to heal themselves and the environment. 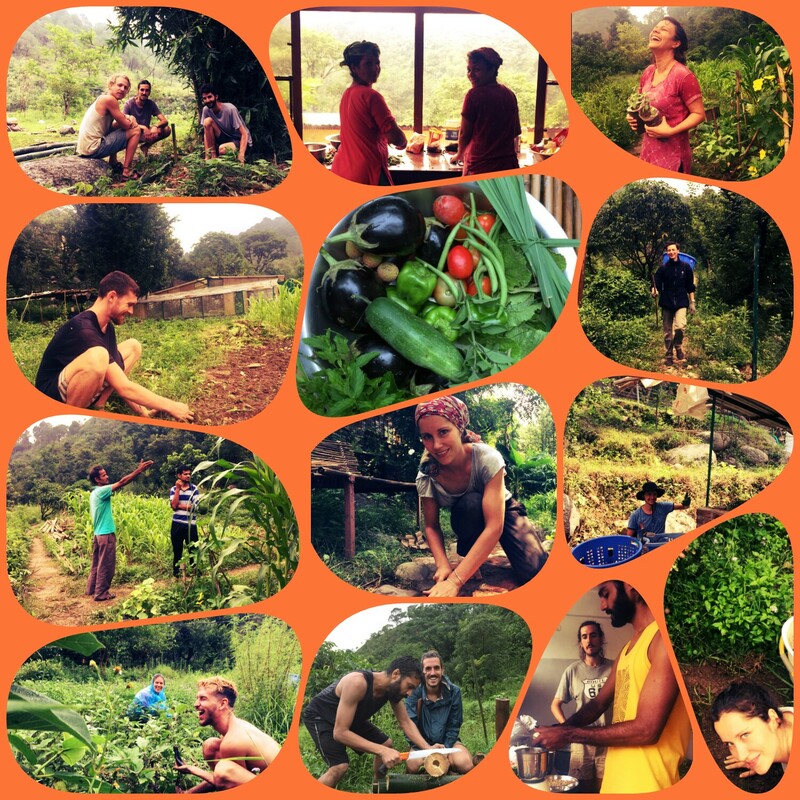 The Ashram is transitioning from traditional food growing methods to an organic Permaculture set up with a plan to start a seed bank. This gives participants an opportunity to see what works and what doesn’t work, get hands on experience on organic farming practices, and a real life experience in design and implementation of a food forest. 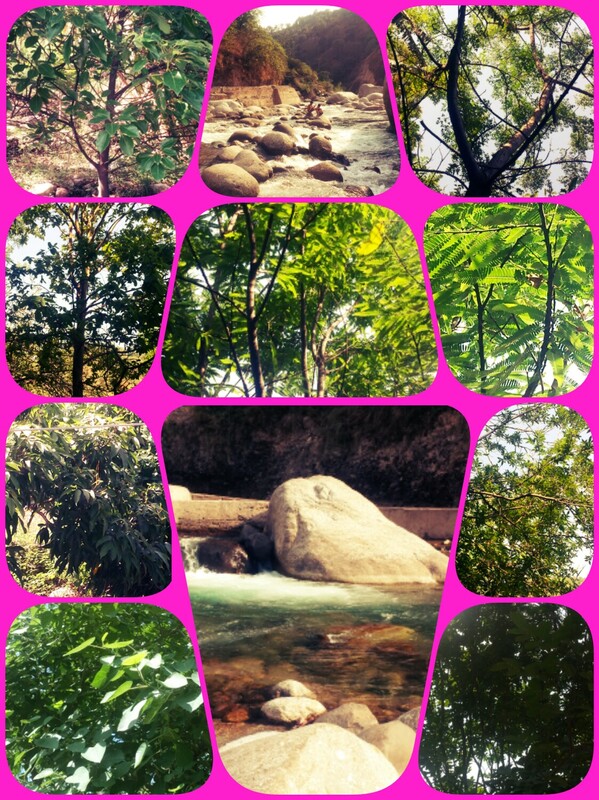 Medicinal trees on the Ashram! Upon completion, course participants will receive a Permaculture Design Certificate (PDC) and a Himalayan Iyengar Yoga Center Yoga Intensive Certificate. This course provides you with an opportunity to nourish your body, mind, and spirit. It equips you with the tools to design a better life for yourself and to co-create healthy environments with intention and confidence. You will learn to find solutions to the problems you face. You will have join the global Permaculture community, committed to helping each other and the planet. 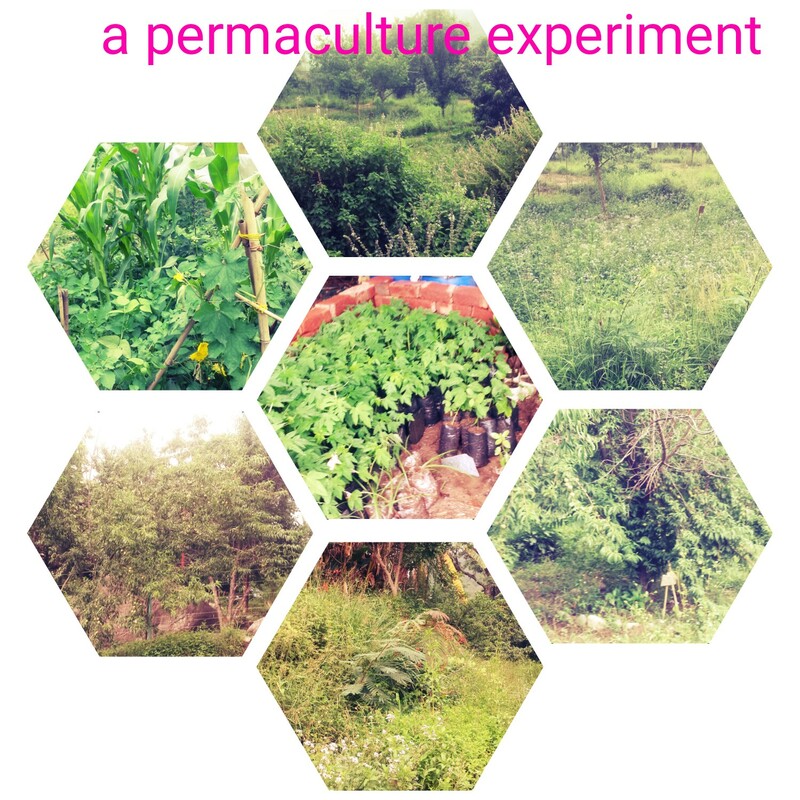 Permaculture: The course will fulfil the international standard 72-hour curriculum and includes instructor-guided lectures, field work, and projects. Participants will benefit from the added aspect of designing and implementing a food forest, which is one of the specific applications of Permaculture. The design principles can be applied to both an urban setting with limited space and to vast pieces of land. Yoga: Students will get 40+ hours of yoga instruction, which includes learning about asanas and philosophy. They will receive the Himalayan Iyengar Yoga Center Yoga Intensive Certificate. Yoga teaches us to find truth and freedom in our bodies and creates harmony in the mind and spirit. It connects us with the 5 elements that make up the world: earth, fire, water, air and space. 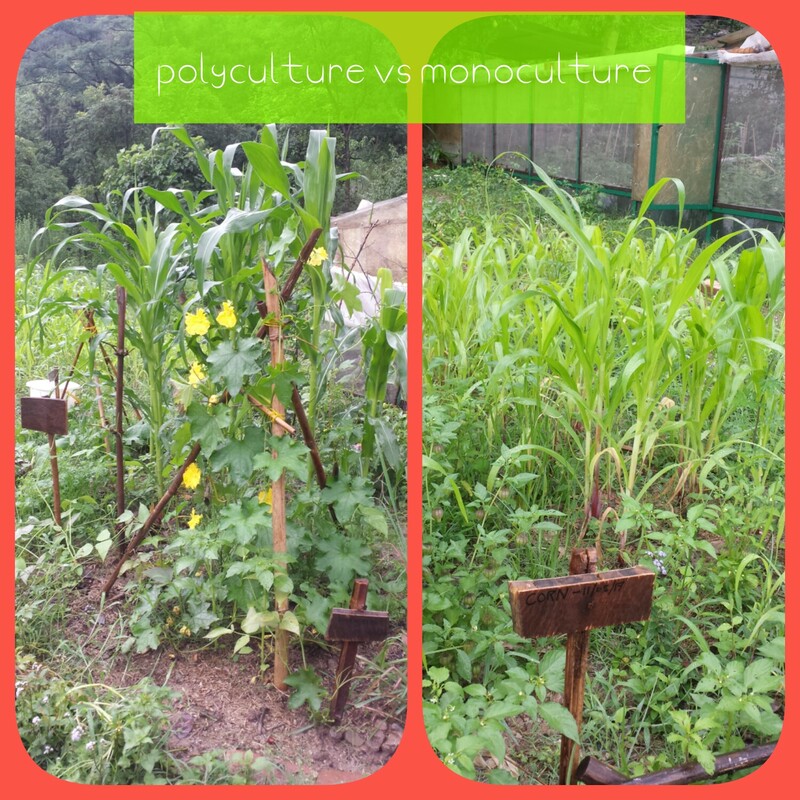 Permaculture teaches us to live in harmony with the earth and to meet our needs in sustainable ways. As we create a food forest with a harmonious community of trees, shrubs, vines and herbs that fills a niche habitat with beneficial plants, we will learn to apply the same principles to our bodies through yoga. Forest gardening is a low-maintenance sustainable plant-based food production and agroforestry system based on woodland ecosystems, incorporating fruit and nut trees, shrubs, herbs, vines and perennial vegetables which have yields directly useful to humans. The design principles can be replicated in even the smallest of urban gardens. Join us and find out how! During the Yoga + Permaculture yoga practice, students will dive into the Himalayan Iyengar Yoga method. Inspired by BKS Iyengar’s teachings, this method combines the most relevant asanas for our modern times with the philosophy and practical applications of yoga. Students will be rejuvenated, energized, and relaxed as they learn how to heal themselves by proper alignment of the body. Those students with ailments are given specific therapeutic attention and guidelines. The yoga practice will be informative, motivational and, above all, experiential, empowering students with the tools for a rich self-practice at home and on the road. Sharat Arora, Indian Yoga Master, designed the method using a scientific approach and an enlightened awareness that is often overlooked in other forms of Yoga. During his 39 years of experience and research in the field, he developed and continues to explore this unique approach to teaching the foundations of Yoga practice in the simplest way possible. Guru Sharat Arora himself will join the course as a participant and lecturer. Volunteer activities on the organic farm. The course content and training is relevant in all climates and is designed for anyone concerned with the state of our planet and seeking ways to become an agent for positive change. It is for those interested in learning and applying nature’s wisdom and design to their work and life. Local community members, especially ladies! In addition to covering the international 72-hour curriculum, participants get to help design and start planting a food forest. The charismatic Romanian-born, London-based Permaculture professional and artist Claudiu Oprea has been teaching and applying Permaculture around the world for the last 7 years. Claudiu’s teaching is inspired by Masanobu Fukuoka, Sepp Holzer, Bill Mollison, David Holmgren and Looby Macnamara’s work, with a focus on people care. Claudiu is committed to helping shift the current paradigms of scarcity and competition to those of abundance and collaboration. He has a deep connection to nature and knowledge of medicinal plants inculcated by his white witch grandmother who raised him lovingly as a free range child at the foot of the Carpathian Mountains in Romania. Students are requested to arrive at the Ashram on the afternoon of September 5th, before dinner. Check out from the rooms is the morning of September 17th. 6 – 6:15 am – Herbal tea, no food please! On selected evenings, we will be screening Permaculture and Yoga films. We will begin and end the day with yoga practice. This is specifically designed to help us relax, connect to our bodies, minds and spirits in order to facilitate the accelerated Permaculture learning sessions before and after lunch. * Please note that content, daily schedule, workshops, activities, and field trips are subject to alterations due to time, material, and availability constraints. Himalaya Shanti Ashram is a mountain retreat specializing in the healing power of Yoga, Meditation and Permaculture (sustaining our environmental awareness). We are 15 kms from Dharamsala airport and 25 km from Mcloud Ganj. Located on the banks of a sparkling clear river, receiving its water from the snow-capped peaks of the Himalayas, all surrounded by forests and tucked away from the industrial development. It is a true paradise, bringing about quietness and peacefulness unknown in most of the world. Natural dwelling facilities and accommodations provide all that is needed for intensive Yoga and Meditation practice as well Permaculture and organic farming. Yoga and Permaculture poster curtsy of Eric.